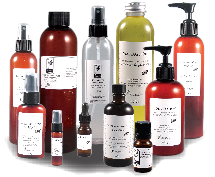 Treat Yourself Naturally with the purest organic skin care and aromatherapy products! ●All of Our Essential Oils are 100% Pure, Organic, and Therapeutic Grade. ●Our Skin Care Products are made from Organic Plant Extracts and Therapeutic Grade Organic Essential Oils. We do not use Animal or Mineral oils, Artificial Colors, Fragrances, or Harmful Preservatives. ** FREE Shipping on orders over $65 for Canadian & US customers!!! 03-Apr-2019 New!! Two products just joined our 100% natural makeup line!! 01-Mar-2019 March & April Special!! 02-Feb-2019 Enjoy $10 off Valentine's Day Coupon until Feb 14th!! Translucent Illuminating Powder also joined our makeup line!! Enjoy this new radiant finish powder! !